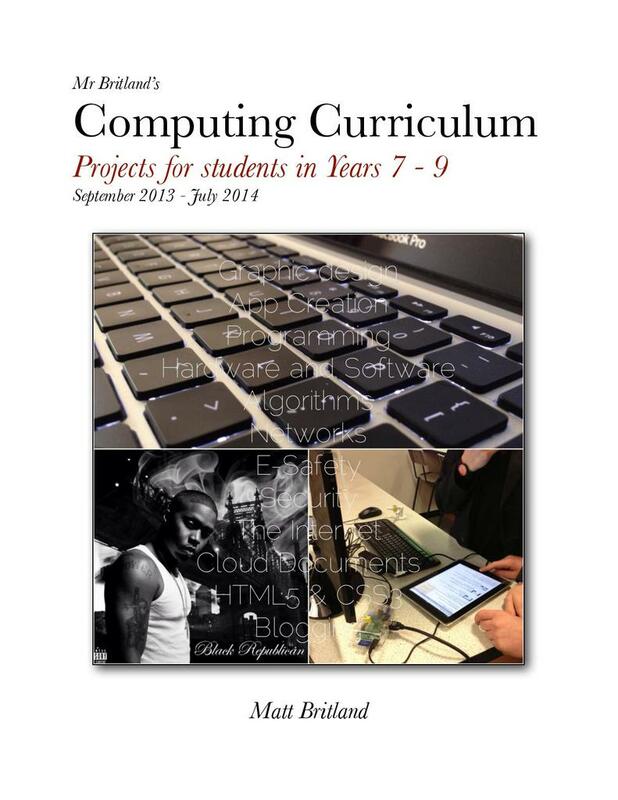 This booklet is an example of a programme of study for ICT and Computing produced by Matt Britland. The programme contains details of the ICT strands and aims and fourteen original projects for students in years 7-9. Each project includes a link to a presentation that can be used by teachers and by students. The presentations include extra resources such as links to websites, videos and example student work. • To learn how to effectively edit, repurpose and combine digital elements. Matt Britland, Director of Realise Learning, is the author of this resource. Very nice collection of tasks. This is extremely helpful and will save me so much time. Thank you very much for sharing your hard work.